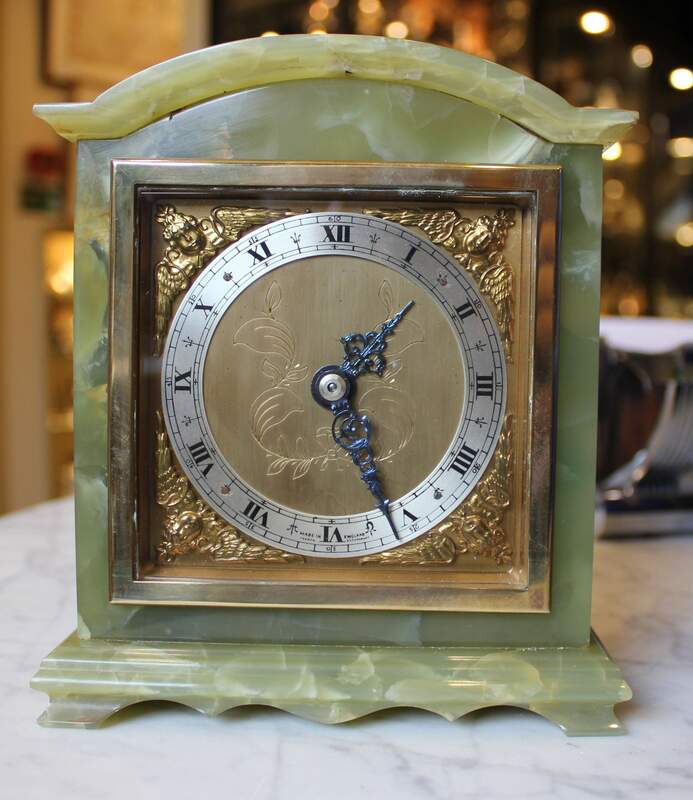 Fine English made 1960's mantle clock with Belgian made green onyx case and high grade 11 jewel lever movement. Height 6 in. Fully restored with two year guarantee.